Take a guided journey through the village. Made using images from the Tony Arter collection, this 30-minute DVD takes you on a guided tour of Docking, and gives you an insight into some of the history of this Norfolk village. 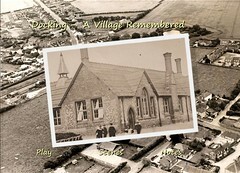 Sit back and re-live the past in Docking – A Village Remembered. The DVD costs £5 each and can be collected from any heritage group event or from Docking market. They can also be ordered using the link below. There are two options, which include either UK or non-UK delivery. Please click the appropriate button below to add your order to PayPal’s shopping cart system. You will be taken to their secure website where you can enter your payment details. Our second DVD takes a look back at the ways in which we used to live, work and play. It looks at the types of housing in the village, some of the shops and trades, pubs, religion, transport, farming and the law. It also takes a look back at some of the ways in which we used to spend our leisure time. 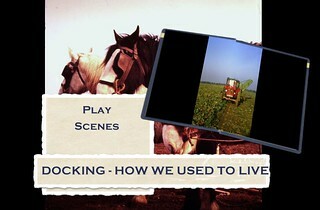 So sit back once again and re-live your past in Docking – How We Used To Live.